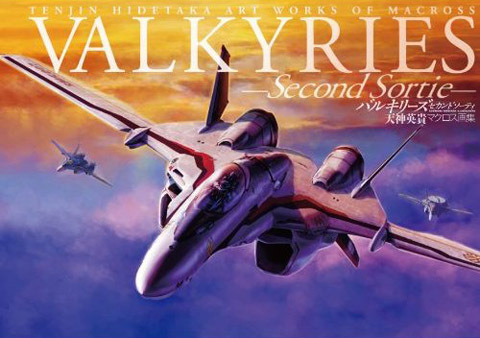 I loved VALKYRIES–it’s one of the best artbooks I’ve owned, and pretty much made me a fan of Tenjin’s art for life. I had no idea that there was going to be a second book, but hey, looks like the fates are going to be kind. Will definitely have to look into this–thanks for putting this up! Say, I have a birthday comin’ up in April. If the internet wants to be kind, I’d love to have both Valkyries books. Would make me a super-happy boy. My birthday is April 1st, so unless you can produce documentation proving you were born before 6:00AM on that day, I’m technically first in line!